In 2012, when I visited Baguio with the family, we didn't have the chance to go to the museum. But this time, dream come true to have visited it with my co bloggers. I loved the modern building with high ceiling, white interior and huge picture windows. OH... TO WAKE UP EACH DAY TO THIS VIEW! Café Sabel, which overlooks the forest and pond, offers fresh and natural food in an ambiance that will refresh your palates and feed your soul. Ingredients, like vegetables and herbs, are sourced fresh daily from BenCab’s organic farm. The cafe’s signature coffee blend, BenCab’s Brew, is also sourced from coffee trees on the farm. If I will have the chance to go back.... I will definitely bring the teens to experience the ECO TRAIL, where we will get to see seasonal veggies, animal farm and an aviary. 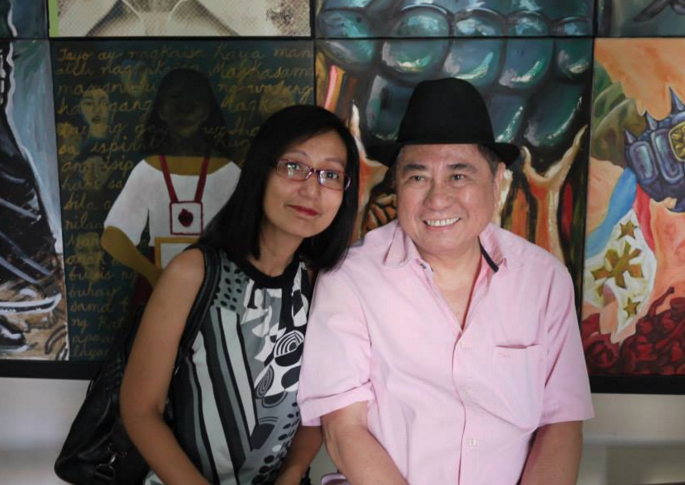 Just daydreaming... would be happy if I get just 1/1000 the talent of Sir Bencab :) But seriously, I really had a grand time visiting Bencab Museum and meeting the owner/artist in person!